This is your opportunity to acquire one of the most unique and diversified real estate with great potential for great revenue; a land developer’s dream! This large property consisting of 2,369.86 acres with over 3,680 feet of prime Caribbean Sea frontage, over 1 ½ miles of Cabbage Hall Creek frontage and over 3,500 feet of Sapodilla Lagoon frontage! Three different water features that bring premium dollar value! The property has direct access with almost 1 mile of Southern Highway Frontage where power lines pass along the entire width of the property. The property is divided into two large tracts. The first tract consists of 864.86 acres with almost 1 mile of Southern Highway which is the main Highway that connects southern Belize to Central Belize. The highway is fully paved and electricity passes along the highway. The land is flat, open savannah with pine trees scattered throughout the property. The Cabbage Hall Creek runs across from the highway onto portion of the 864.86 acres then it turns north onto the neighboring property before turning south into the second part of the property. There is an all weather dirt road that runs from the highway due east of the property which can be used for year round access to the property and to transport equipment and personnel. There are numerous mounds, undulating topography with sandy soil and not to mention great Panoramic Distant Views to the Maya Mountains of Belize! The second tract is the adjoining property consisting of 1,515 acres but the owner will keep a 10 acre tract on the beach with 250 feet of beachfront on the South East end of the property. The total acreage that will be sold is approximately 1,505 acres combined with the adjoining tract of 864.68 acre bringing the total to 2,369.86 acres. Cabbage Hall Creek runs on the north of the 1,505 acre tract for almost ¾ of the property due east. The Creek does separate a portion of the property into sections which means a bridge must be built over the Cabbage Hall Creek to access the portion of the sea front of the property. Also, there is a portion of the property that is detached and almost forms an “island” along the Cabbage Hall Creek and Sapodilla Lagoon. That little island thought is attached to the adjoining private land known as Al Pines Shrimp Farm. However, this is a very low area that could be developed but a bridge must be built also to access it. Instead of building a bridge one can use Barges that can be maneuvered back and forth to access the area giving you a full private island feel! Having a large property like this with so many eco-system and water features is the perfect place to develop! Building a bridge or a ferry over the Cabbage Hall Creek would just add an Exclusive touch but also a more scenic drive through the different eco-systems. The Cabbage Hall Creek ranges from 50 feet width to over 100 feet in some areas and having a bridge spading over the creek would be a great adventure! Along the Cabbage Hall Creek the property is dominated by broad leaf mature trees which distinguish the vegetation from that of the low lying areas. There are many spots with wetlands that can easily be developed into a diverse eco-system and with the right vision and permits the options are endless! Kanantik Resort used to launch kayaks on the Cabbage Hall Creek for its visitors to go and explore the creek, the Sapodilla Lagoon, the beach and enjoy the abundant flora, fauna and natural eco-system. One can navigate on a 24 foot boat from where the Kayaks are launched through the winding Cabbage Hall Creek, Sapodilla Lagoon and onto the Caribbean Sea! The Cabbage Hall Creek is navigable for almost 70% of the way inland but the trees must be cut and cleared to give you unobstructed way. The property boast of approximately 3,500 feet frontage which makes it ideal for safe harbor and residential development. The Sapodilla Lagoon is navigable from the mouth of the sea to parts of the southern part of the Sapodilla Lagoon. The large development known as The Reserve (formerly Sanctuary Belize) has dredge the channel into the Sapodilla Lagoon but to access the southern part of the lagoon that will have access to the property may require dredging. The entire coastline of this amazing 2,369.68 acres is approximately 3,680 feet. The best part of the beaches is situated in the south east end which will have close to 1,000 feet of pristine beachfront with coconut trees swaying along the beachside. The rest of the frontage is mixed with mangrove coastline, some sandy bottom which means it can easily be developed. This section of land is a small peninsula that extends from the ocean on the east to the west along the Sapodilla Lagoon. There is a small channel opening that also can provide access from the sea to the lagoon. The property is 20 miles south of Dangriga Town, 8-10 miles from Hopkins Village and Sittee River Area, just 5 minutes away from the Jaguar Reserve, and approximately 30 miles from the booming area of Placencia Peninsula. You cannot get better with this property, LOCATION, LOCATION, LOCATION! 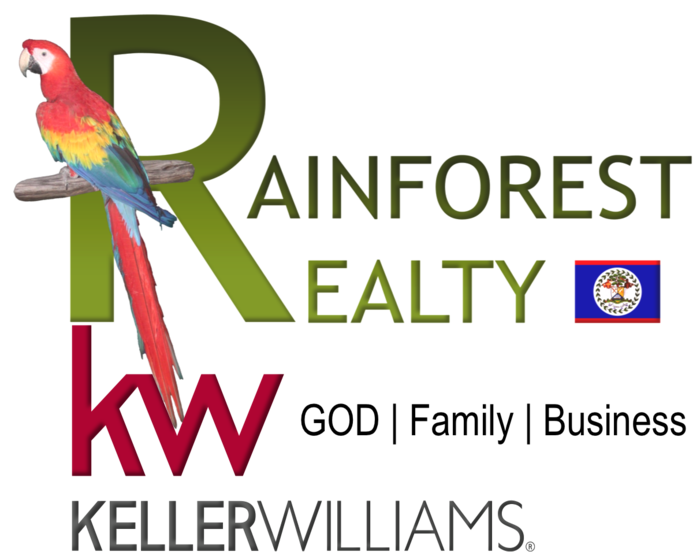 This amazing prime real estate sits smack in the middle of high end residential/resort development: on the North there is The Reserve (formerly known as Sanctuary Belize), on the South Kanantik and a new high end residential/resort development. The best neighbors a developer would dream to have! In the past an EIA was conducted with permits for 600 Homes/Condos, Duty Free Zone (Export Processing Zone), Shopping Center, Golf Course and Marina. The permits were for homes along the Sapodilla Lagoon and along the Beach! Contact us at your earliest convenience to explore the available options before it is too late; opportunity like this don't usually survive the test of time!